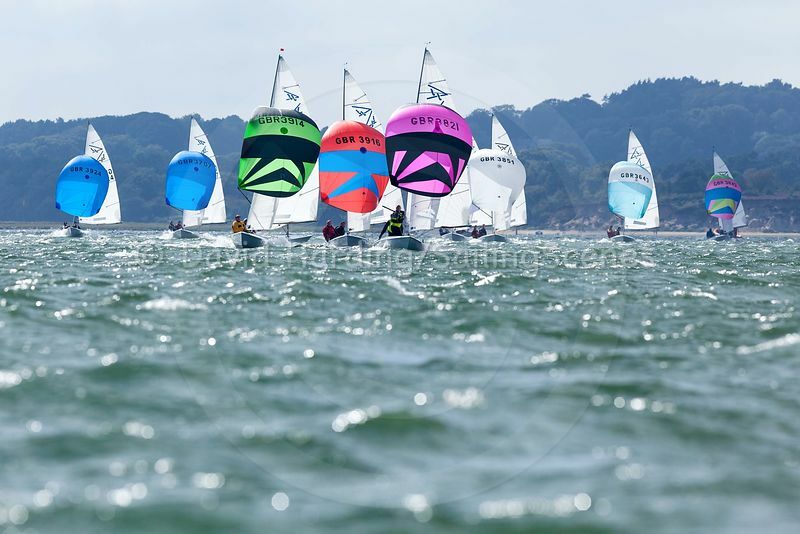 After a blustery start to adidas Poole Week on Sunday, the Weather Gods turned down the settings on the wind machine by a couple of notches for the second day. 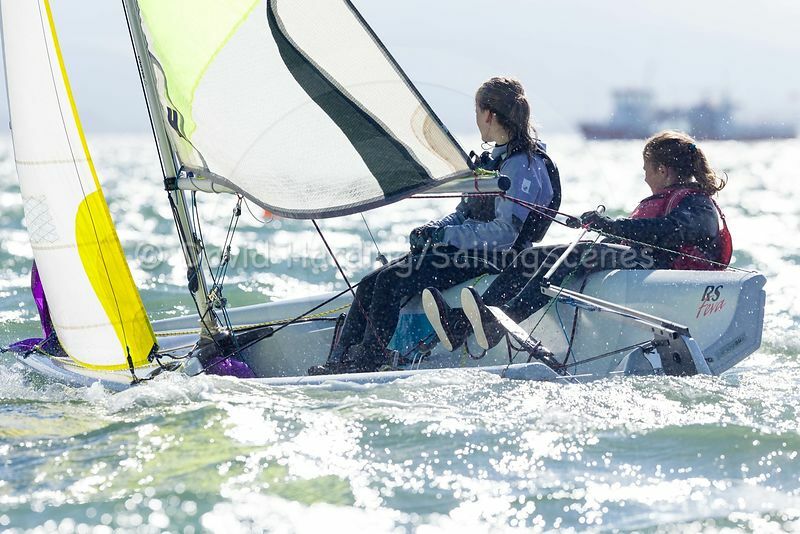 Along with lengthy spells of sunshine, competitors enjoyed a steadier breeze that stayed in the high teens to low 20s for much of the time yet still oscillated enough to make it crucial to stay in sync with the shifts. Those who got things consistently right included Owain Hughes and Jade Bowen in their RS200. 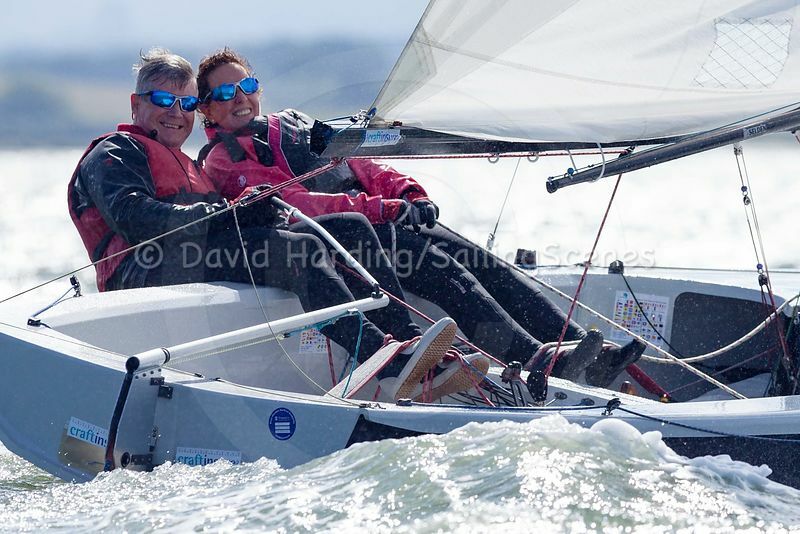 Three bullets moved them into the lead in the RS fleet, one point ahead of two more Bowens – Jade’s dad Stewart and brother Jack in another 200. In the XODs, Willie McNeil followed up Sunday’s pair of second places with two firsts to sit at the head of the leader-board with Lara, two points ahead of Eric Williams in Ken Latham’s Sawdust. With both boats having full-time sailors among their crew, it’s no surprise to find them jostling for top spot. 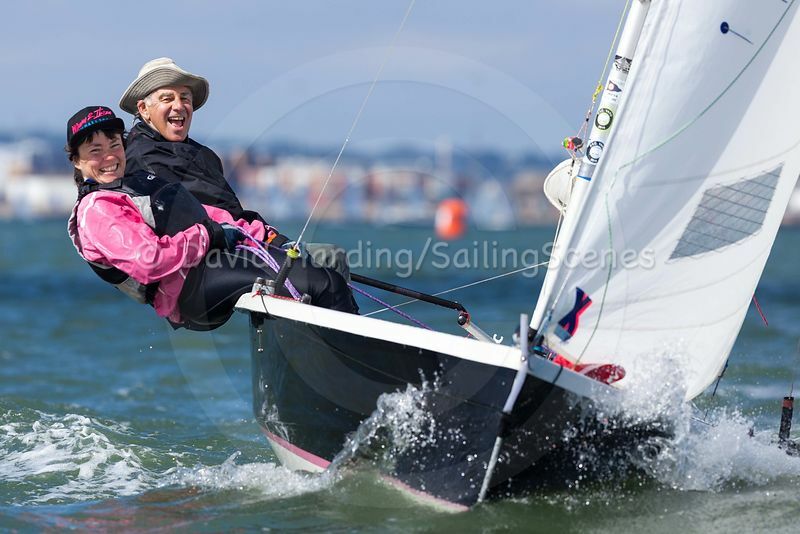 Snapping at their heels is John Tremlett – he of multiple wins in the class in Cowes Week. 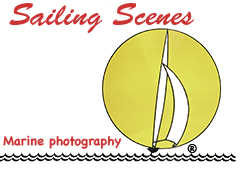 Tremlett has sailed as a guest helm in Poole Week on several occasions but this year brought XOD 80, Lass, along from Itchenor. 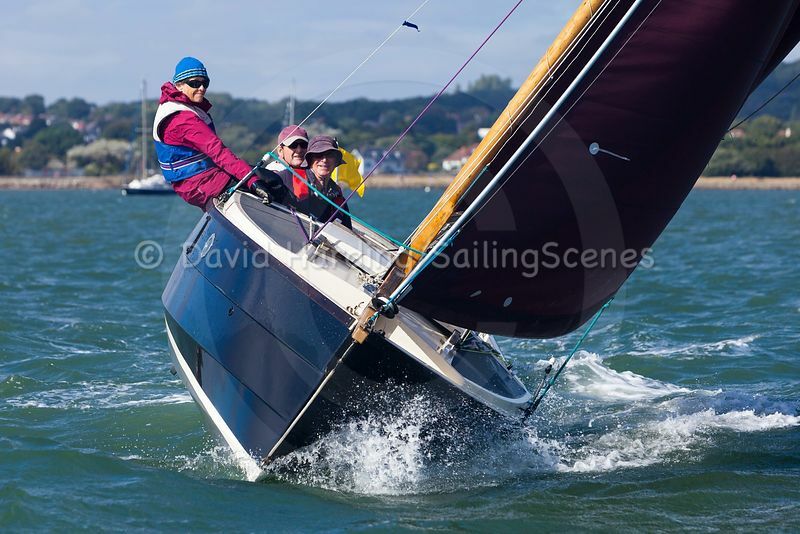 Among the highlights of the day was the port-tack flyer at the start of the Wayfarers’ single long race by Mark Lee, a regular Poole Week visitor from Broxbourne and otherwise known as Mr CraftInsure. After this perfect start, things didn’t go quite so well when he missed the toe-straps with some slightly damp consequences, but he recovered to finish fourth. After getting more than slightly damp and not managing to finish a race on Sunday, Geof Gibbons found something more like his usual form and charged into an unassailable lead. 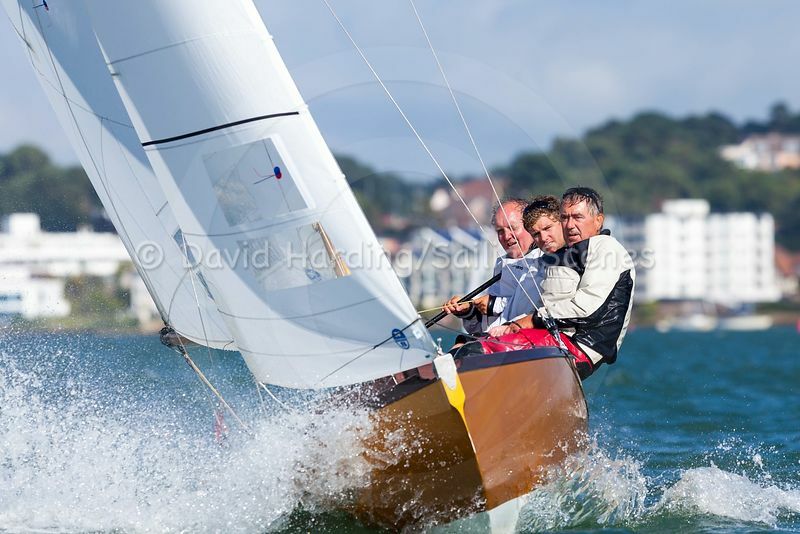 Also sailing a single race were the Shrimpers, the fleet being led home convincingly by David Dorrell in Humpol to make it two wins in two days. 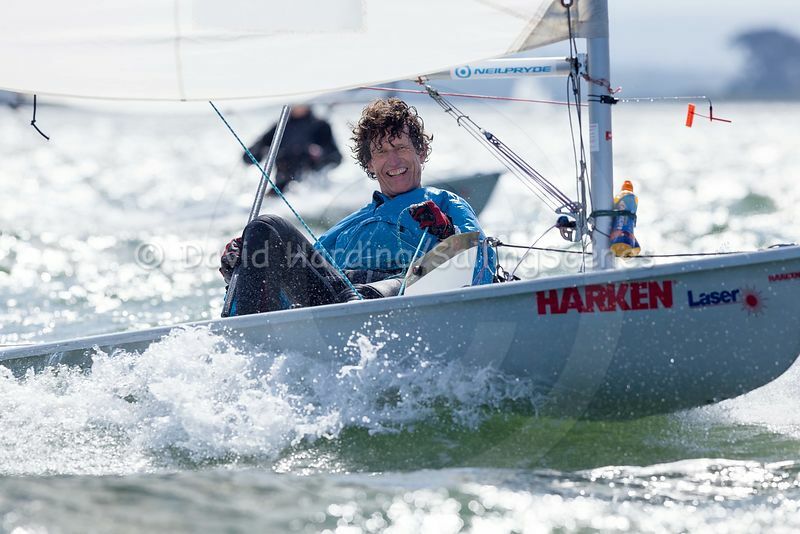 Not surprisingly, the tussle at the top of the Flying Fifteens was as intense as ever, though it looked for a while as though Patrick Keats and Richard Whitworth had lost their edge overnight when they recorded a not-to-be-talked-about 7th in the first race. 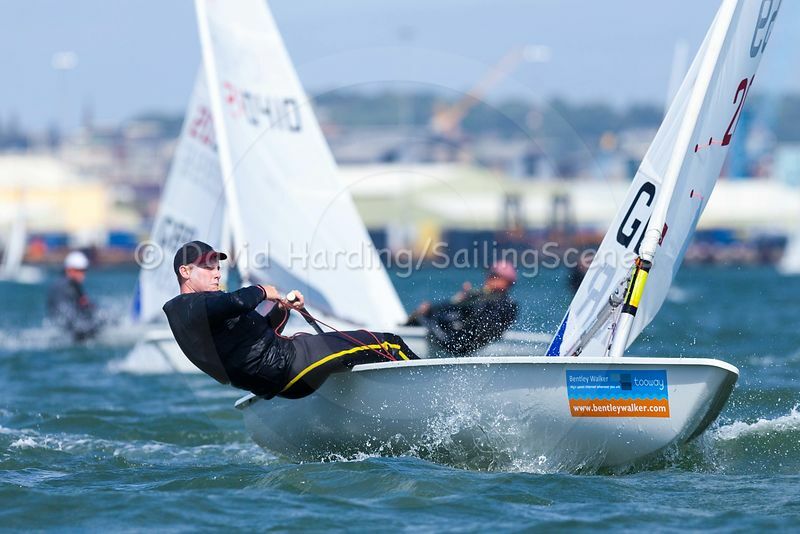 The second race was an eight-miler that took the fleet to the east of Brownsea Island and up South Deep, and once again Keats and Whitworth were slightly behind the leading pack approaching the closing stages. On the penultimate leg, however – a tight three-sail reach across the harbour – they made the decision to take any height that was offered to them early on and ended up flying down to the leeward mark while the front-runners were struggling to hold their spinnakers. The resulting second place keeps them firmly in the fray, just one point behind the father-and-son team of Graham and Ben Scroggie. Back ashore, the late-afternoon sunshine tempted achy-limed sailors on to the terrace of Parkstone Yacht Club, but the lure of the daily £200 vouchers from adidas a little later ensured a packed marquee for the prize-giving.